Yeah, I’m a little slow on the uptake here, but the minutes from the last Public Utilities Commission Rulemaking Committee and the latest rule draft update came out what, a month ago??? Naaaah, more like three weeks, but still… And the next Committee meeting is Wednesday. Who cares about the rules? Who cares about Minn. R. Ch. 7849? Well, we all should because it’s the way the Commission determines, in this case, whether a particular proposed power plant or transmission line is “needed” or not. It lays out what the applicant must put into an application, it sets the parameters of initial notice for the project generally and the different types of notice as the project moves through the morass that is regulation. Certificate of Need is the “IF” stage, IF a project will go forward, and not “WHERE” which comes after it’s determined that it’s needed (rightly or wrongly). If a project gets a Certificate of Need, then the next question is WHERE. These rules address forecasts and what types are necessary and how current, if an applicant should be exempted from any of the rules based on the type of project or situation, the (nominal) environmental review in an “Environmental Report,” what avenues are open for public participation such as meetings and public hearings, whether you can question witnesses at the hearings, blah blah… it’s arcane, it might be boring, but it’s what we’ve got to deal with. You can find really painful examples of how the rules do and don’t work here and at www.nocapx2020.info. Please weigh in! This is about Minn. R. Ch. 7849, the rules covering Certificate of Need. We’re getting pretty far along, so this would be a good time to get comments in on the September 10 Draft — QUICK before they issue a formal draft and it’s set in stone. So I’m looking into aquifer recharge in relation to silica sand mining, as protection of the aquifers is a primary necessity. Try googling, and try finding maps that show these areas. Try finding a recharge map! Is it that in Minnesota it’s presumed that we’ll always have water? The short version is that the last map on this post does indeed have a lot to say about permeability and logically sets out areas of concern that should be protected. 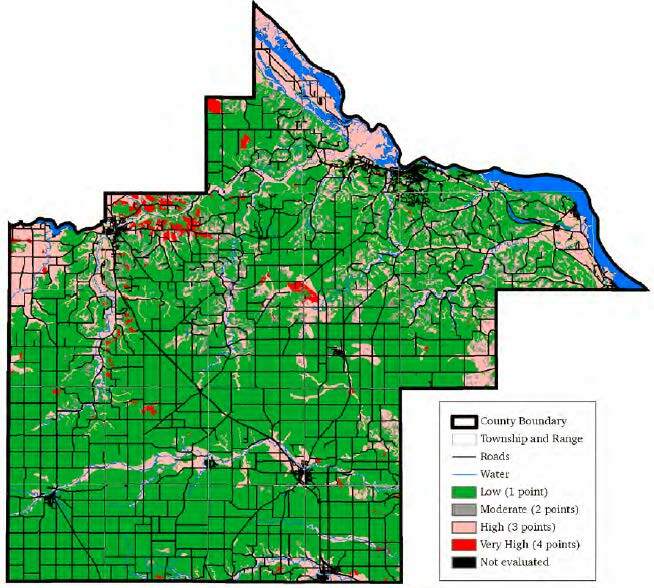 This map has been around for a long while, it’s the same map I used to find likely spots for nuclear waste when NSP wanted to put nuclear waste in Goodhue County, and by eliminating the karst areas, and co-locating with rail and the other criteria, voila, Florence Township was the target. This map, and versions of it, go way back. The Goodhue County Mining Study Committee has it, it’s posted online, so why is this taking so long? Why is it so difficult to characterize the areas that should be protected from pollution from frac sand mining? Protection of water is primary on almost everyone’s agenda. Without a safe and clean water supply, where are we? 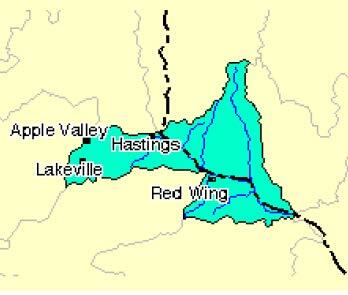 It’s our drinking water, and we’re an agricultural county. Geology is complicated, hydrogeology is even more complicated, but it is not rocket science. 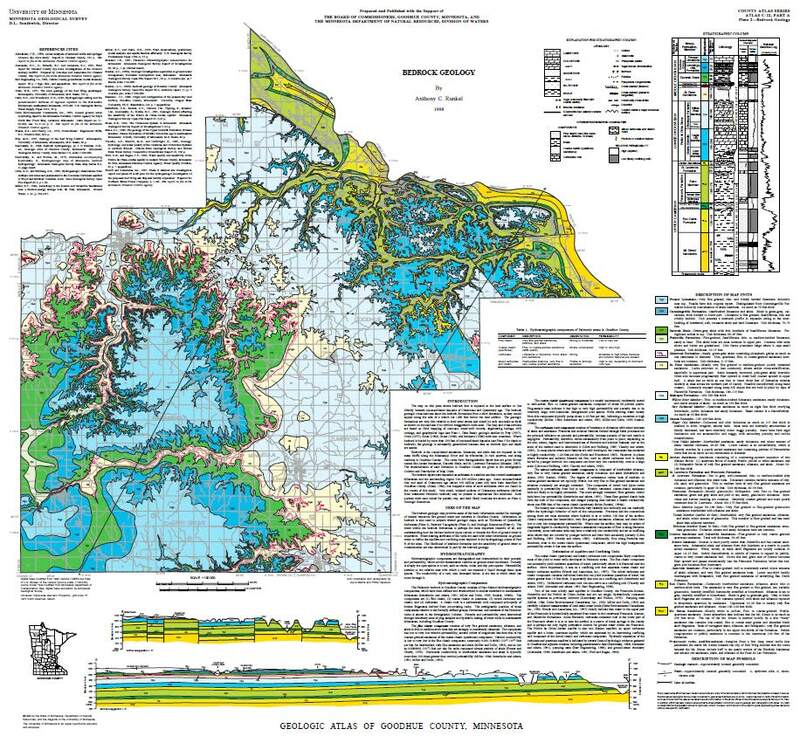 Looking at this map, and how it extends southwest of Lakeville, along the Minnesota River and presumably into Scott County, this demonstrates the importance of protections along the Minnesota River, given all the silica sand mining activity there. 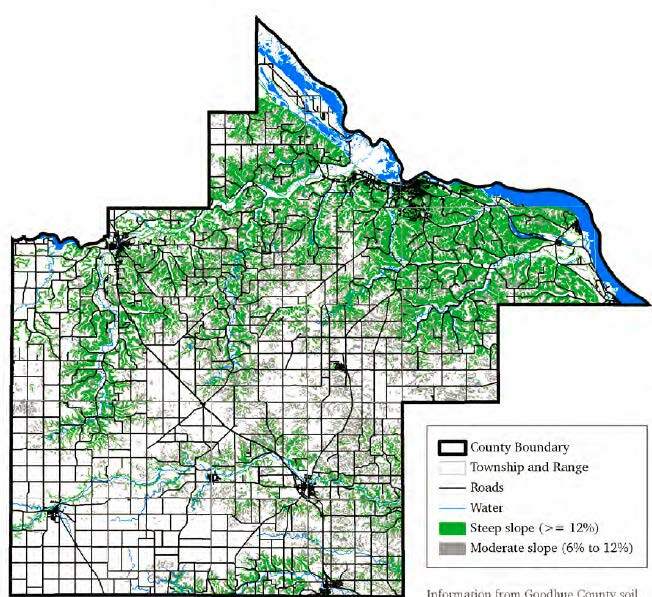 And look how far it extends north… does it reach the silica sand mines in the Chippewa River Valley? 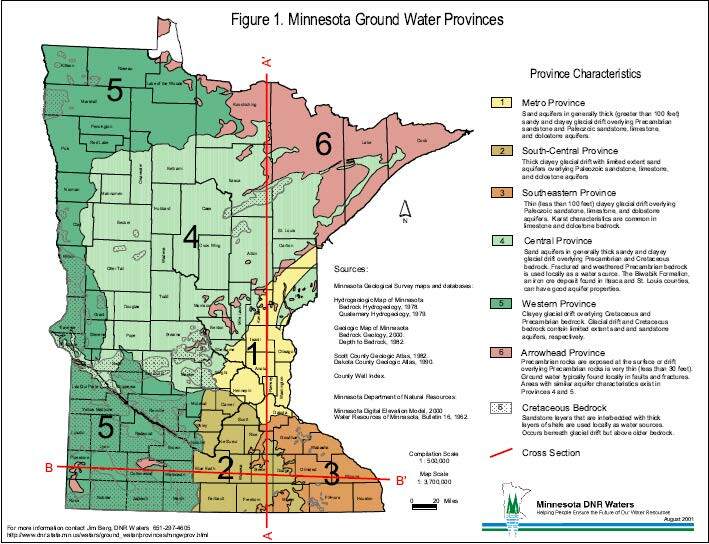 Here is USGS information on ground water levels by county. But look where they are! 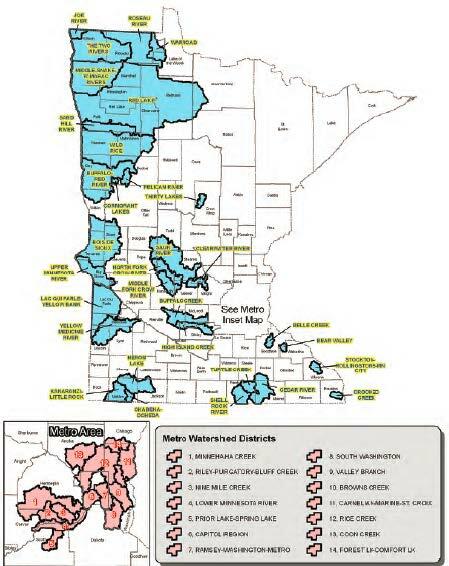 Look at the locations, smack dab in the crucial areas of SE MN, i.e., Belle Creek, Bear Valley, Stockton-Rollingstone-Minnesota City, Crooked Creek, and the contiguous Shell Rock River/Turtle Creek/Cedar River watersheds. These designated Watershed Districts could provide some regulatory protection, maybe a lot, for these areas. Next stop — quest for maps and info directly from the Land Use horse! 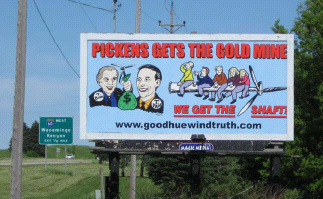 PUC meeting to end Goodhue Wind! Join us at the Minnesota Public Utilities Commission! The rest of the story… ??? Looking at the footprints, at what’s proposed, it makes sense, meaning that it fits together, the rest of the story. But does it? 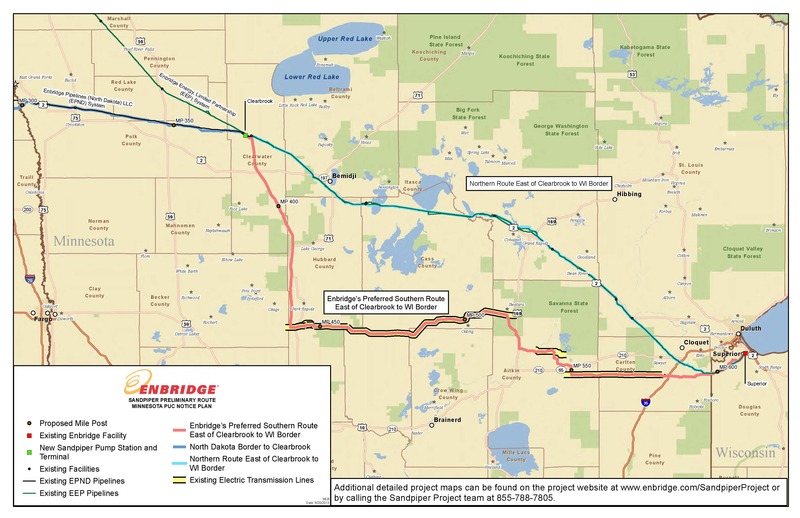 There’s the Not-So-Great Northern Transmission Line (Minnesota Power’s Great Northern Transmission Line), and there’s the Enbridge Sandpiper pipeline. But is it all connected? Or is there even more in store? How much do these companies want? 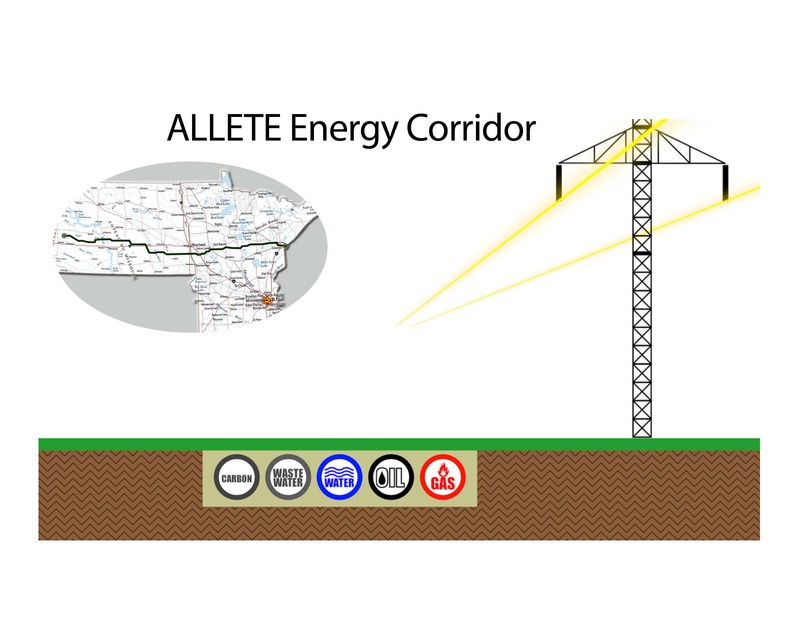 BISMARCK, N.D.–(BUSINESS WIRE)– ALLETE (NYS: ALE) today laid out its vision for a comprehensive energy transportation corridor that could help provide solutions for the movement of natural gas, petroleum products, water and wastewater, wind energy and future sequestered carbon across a coordinated, shared right-of-way. 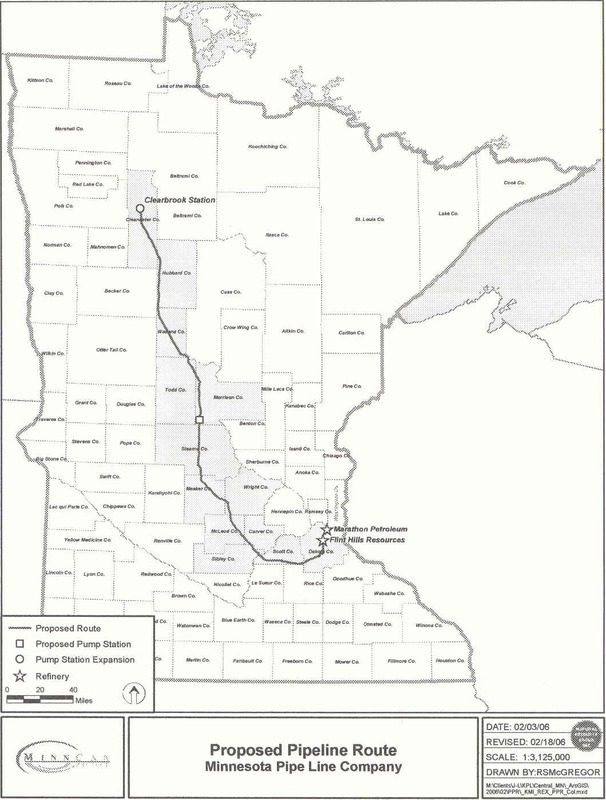 The energy corridor’s backbone would follow an existing 465-mile path that contains a direct current transmission line running between Center, N.D. and Duluth, Minn. 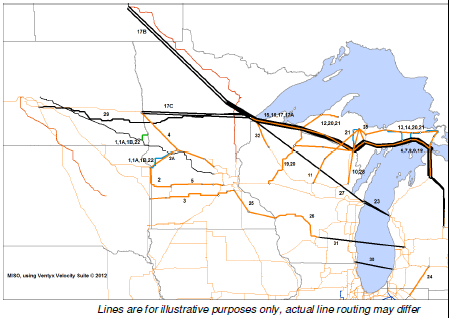 This 250-kilovolt line, purchased in 2009, is used to transmit electric energy from the lignite-fired Young Generating Station in Center and the nearby Bison Wind Energy Center to Duluth, Minn., home of the nation’s busiest inland seaport. The energy corridor would expand a pathway along strategic portions of the existing right of way to minimize land use and optimize energy delivery infrastructure development within North Dakota. A top priority of the ALLETE Energy Corridor is to develop an extension of the existing energy delivery path some 60 miles westward to the burgeoning Bakken shale oil fields of west-central North Dakota. ALLETE subsidiary ALLETE Clean Energy has been working diligently with potential partners to study the co-location of facilities and assess the capital needs for the Bakken link. It is envisioned that various lengths of the corridor would be used for different purposes. North Dakota Governor Jack Dalrymple voiced support of the ALLETE Energy Corridor today in remarks to EmPower North Dakota, a commission established to develop a comprehensive energy policy for the state. He said the energy corridor concept is a prime example of the way business can creatively tackle pressing problems like the proliferation of flare gas at oil wells dotting the Bakken field, and the traffic tie-ups caused by too many trucks and trains hauling petroleum products to market. The ALLETE Energy Corridor could accommodate several pipelines capable of transporting natural gas that would otherwise be flared, as well as wastewater and carbon sequestered from fossil fuel generation. Future wind expansions could also benefit. 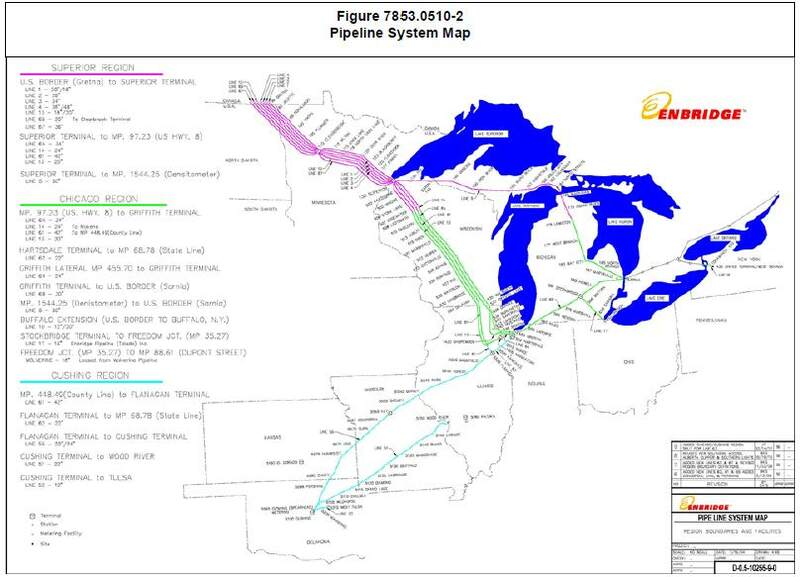 More information about the ALLETE Energy Corridor can be found www.ALLETECleanEnergy.com. ALLETE, Inc., an energy company based in Duluth, Minn., has a well-established presence in North Dakota that includes BNI Coal, now undergoing a major expansion to extend coal delivery to its partner Minnkota Power, and the Bison Wind Energy Center, where work on a $350 million fourth phase is scheduled to begin this year. ALLETE’s energy businesses also include Minnesota Power, Superior Water, Light & Power Co. and ALLETE Clean Energy. More information about the company is available at www.allete.com. ANOTHER tar sands pipeline across Minnesota? 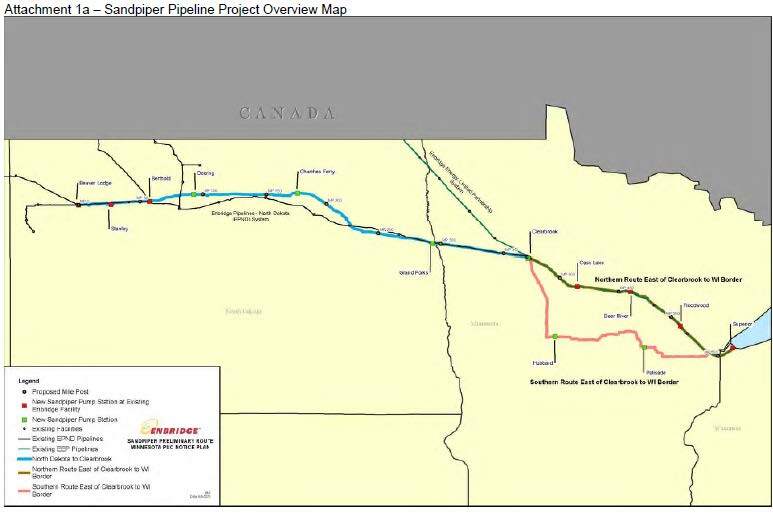 There’s a new tar-sands pipeline proposed to run across Northern Minnesota, the “Sandpiper” pipeline. Doesn’t that name make you feel better? Yeah, didn’t think so. Now that I’ve got your attention, check out the Minnesota Public Utilities Commission docket. Go to the “Search Dockets” page, and search for 13-473. Thus far, it isn’t far, it’s at the “Notice Plan” stage, which means that the company filed a Notice Plan, which states how they’ll give notice to affected local governments, landowners, etc., that the PUC reviewed it, and approved it, with some changes. 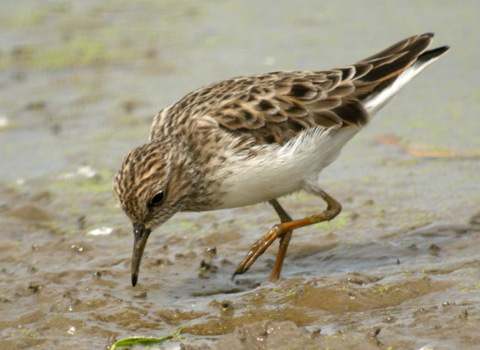 So back to the Enbridge Sandpiper. Where is it proposed to go? Yup, that’s right! They “need” it… well, because they want it… they “need” it because they want it because they “need” it because they want it, but remember, this is a Certificate of Need docket, where they have to prove they NEED it! The burden of proof is on them.